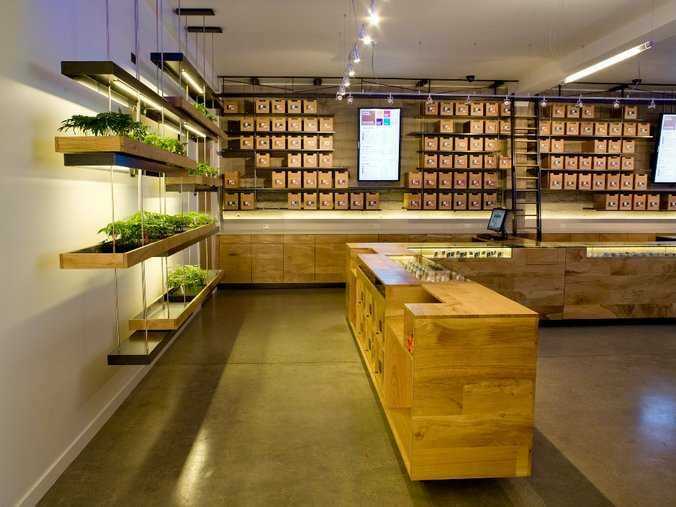 When you walk into Sparc, a medical marijuana dispensary in San Francisco, you may have to do a double take before you realise they’re selling weed. The clean, well-lit interior is lined with thick, modern pale wood shelving similar to an Apple retail location, or modern clothing store. And rather than being housed in mismatched boxes, the marijuana is organised uniformly in large, clear plastic cases. The small, clear circular containers are organised in precise rows with well designed labels. 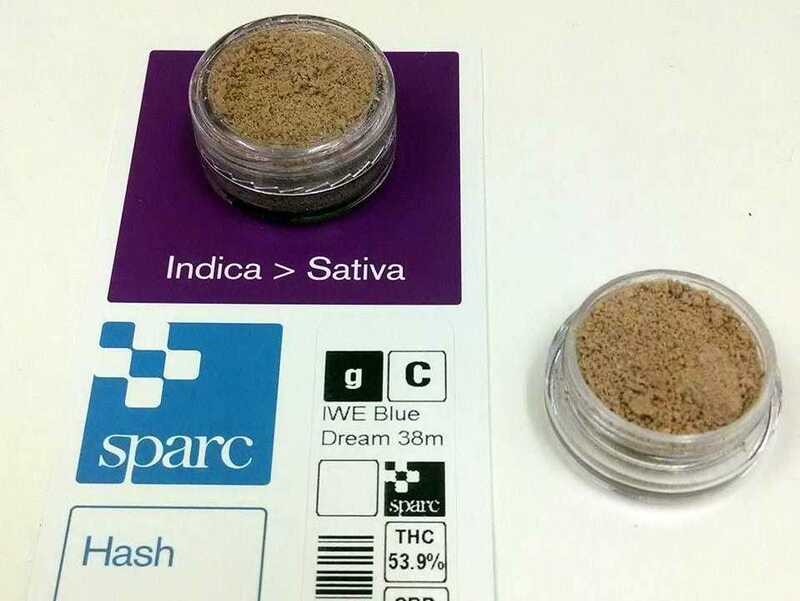 Sparc, which was founded in 2009, currently serves up to 400 customers per day who can sometimes pay $US300 for an ounce of marijuana, CNBC reports. Customers must be at least 18 years or older and have a letter of recommendation from a physician in order to purchase marijuana from Sparc. And the retail store has also partnered with Eaze, a local startup trying to revolutionise medical marijuana delivery. Sparc is officially a non profit, and they donate their surplus funds to San Francisco charities, but the company has seen a big uptick in business thanks to the legal marijuana market’s recent growth.